Nic Cederberg was shot by James Tylka after a chase through Washington County. 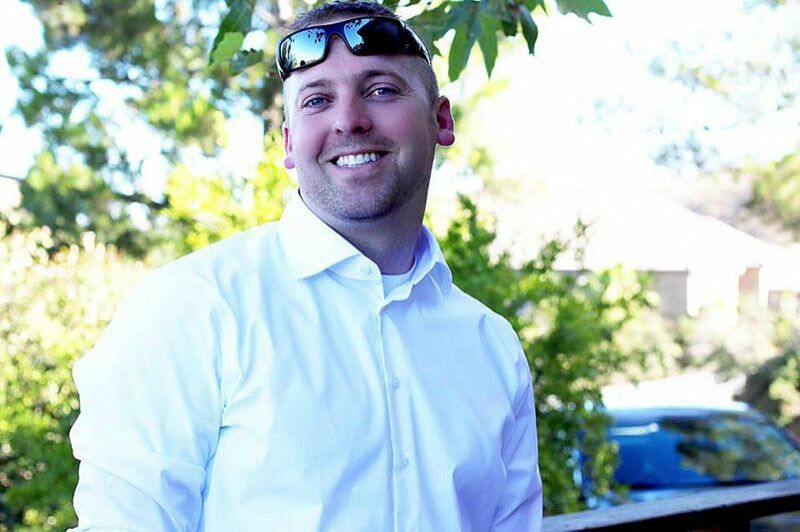 Nic Cederberg and his wife are accusing Washington County's 911 Center of mishandling a case that ended with the Oregon State Police trooper being shot 12 times on Christmas Day 2016 and a lifetime of disabilities. In the federal lawsuit filed Monday in Portland, Cederberg's lawyer also is suing the Washington County Sheriff and Legacy Meridian Park Hospital. Cederberg said dispatchers never warned him that the man who shot him was armed and dangerous. He's asking for $2 million for past and current pain and suffering and $18 million for future pain and suffering. His wife, Hayley Shelton, seeks an additional $10 million in damages. On Dec. 25, 2016 dispatchers broadcast what's called an "attempt to locate" for James Tylka, who was suspected of killing his wife, Katelynn, in King City. Cederberg's lawsuit states Washington County dispatchers left out "critical information that Mr. Tylka had just shot and killed his wife and was armed and suicidal." Cederberg was on Bull Mountain in Tigard when he learned that law enforcement were looking for Tylka at 10:40 p.m. Nine minutes later Cederberg notified dispatch that he had spotted Tylka's white Mitsubishi and was in pursuit. The lawsuit says Cederberg made a tactical decision about continuing the chase "he would not otherwise have made had he possessed the critical information ... to follow Tylka's vehicle down Gimm Lane, a narrow, dark and relatively isolated rural dead end road." The lawsuit states Tylka rammed Cederberg's patrol car while simultaneously starting a gun battle. Cederberg was shot 12 times. The Washington County District Attorney concluded: "It appears that Tylka fired the last few rounds while standing directly over Trooper Cederberg." The gun battle continued after other officers arrived. The State Medical Examiner said one of the 21 shots that hit Tylka was a self-inflicted shot to the head. The lawsuit also accuses a sheriff's deputy of failing to perform his duty to arrest Tylka about a month earlier for domestic violence. Cederberg's lawyer said Katelynn Tylka called 911 on Nov. 29, 2016, to report death threats from her estranged husband. The suit states the deputy had probable cause, but did not arrest Tylka even though he left text and voice messages "threatening to kill her and her new boyfriend." The next day Tylka allegedly attempted suicide by overdosing on insulin. He was taken to Legacy Meridian Park Hospital, where a police officer requested a mental health hold on Tylka. According to the lawsuit, the doctor "called the King City Police Department to complain about Mr. Tylka being brought to the emergency room ... and stated that the circumstances 'sounded like a criminal matter'" and released Tylka later that night. The lawsuit says Cederberg has permanent disabilities, including post traumatic stress disorder. At least one bullet remains at the base of his spine. Bullet fragments also are left in his forearm, where he was shot six times. The suit says Cederberg's wife is his around-the-clock caregiver; she is seeking at least an additional $10 million in damages. "It's pending litigation, so I can't comment," said Kelly Dutra, director of the Washington County Consolidated Communications Agency. 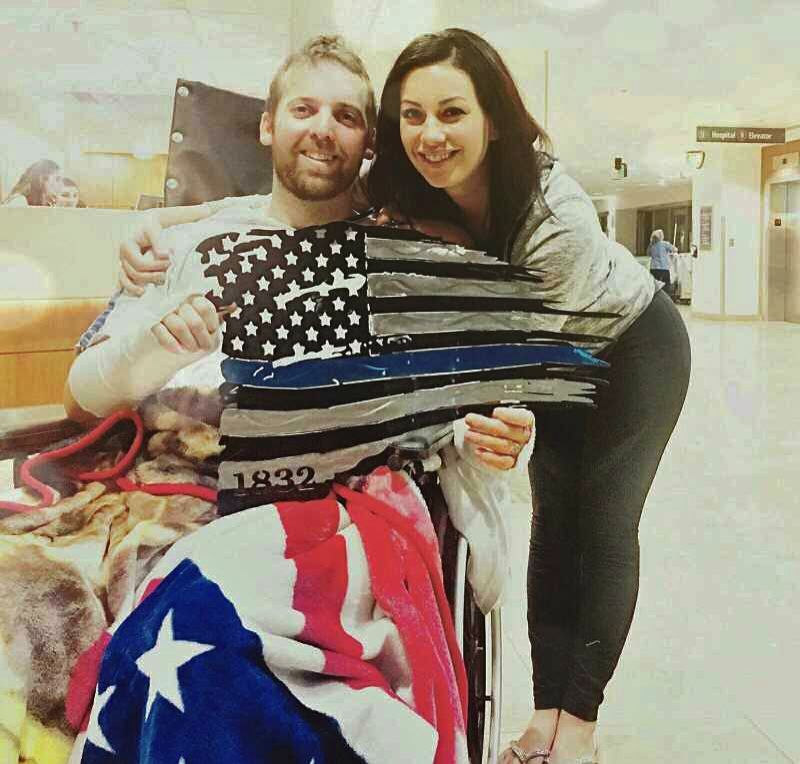 Cederberg is still employed by Oregon State Police but his duty status has been modified due to his injuries. KOIN 6 is a news partner of The times.